Descriptions of the books in Kaleidos 5 reading list can be read at this page. Fifth graders master paragraph development as they continue essay construction and creative writing in Kaleidos 5. In between essays, students have a variety of fun, creative writing activities that stretch their word usage and sentence structure. Experienced Kaleidos users (who used Write On last year) will focus on Write On 45 to 62. 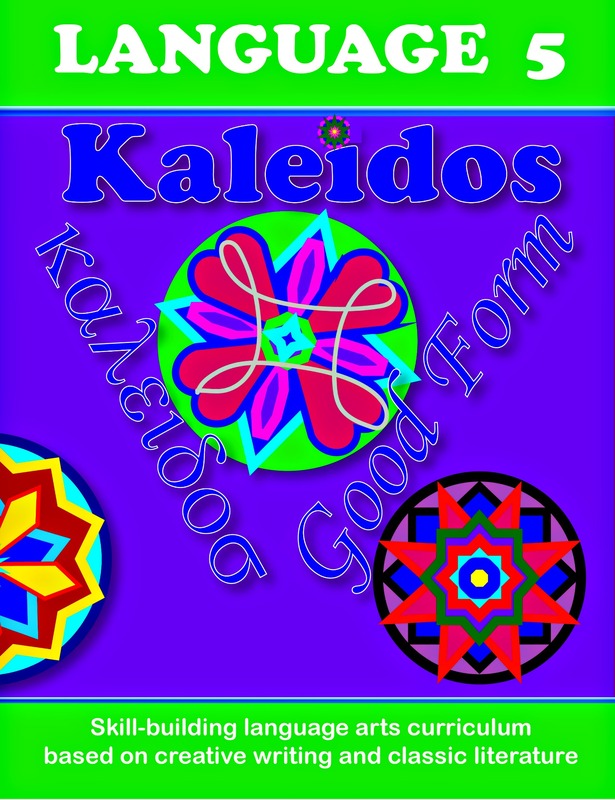 Students new to Kaleidos will do lessons from Write On 1 to 62. Both sets of lesson plans are listed in the schedule and both at end at the same place. 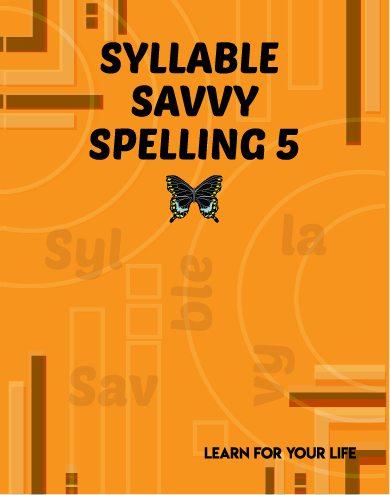 Syllable Savvy Spelling 5 is used in Kaleidos 5. 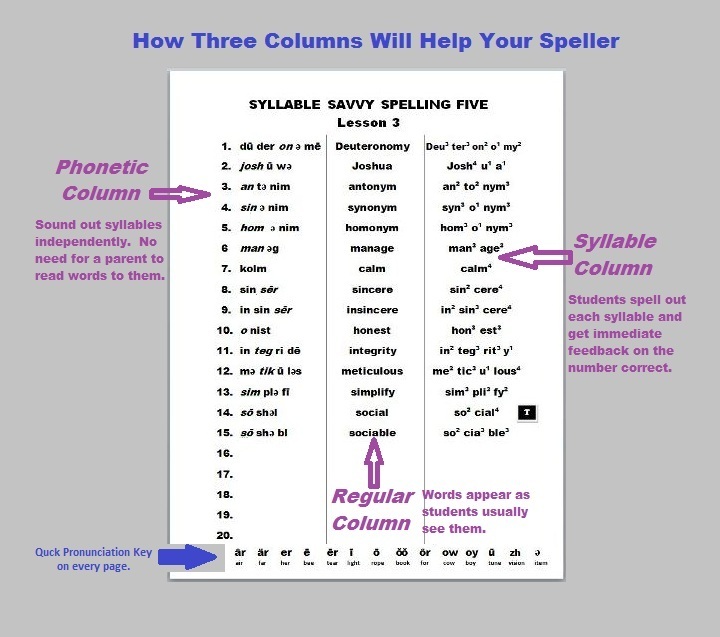 Whether your students have used the 3 column method of spelling in previous years, or begin it this year, you will immediately see the advantage of this syllable-by-syllable method of spelling. The other thirteen words in each list cover a variety of spelling rules and uses appropriate for fifth grade. You can see a sample of the 5th grade spelling words. It's in the right column that the focus for student success occurs. They see the word broken down by syllables, and note the number of letters in each syllable. As they write the word on their own, they focus on the correct letters in each syllable. Even the largest, most fearsome looking word is made out of syllables that usually are only 1 to 4 letters each. Whose afraid of four letters? Get ready for some serious fun with The Big, Bad Grammar Slammer. With one short lesson a day, Kaleidos 5 students are exposed to a quick, painless grammar principle. Divided into seven modules, these easy-to-use lessons take about two months to complete. In those two months, they will learn simple sentence diagramming. After that, each Weekly Schedule has them play The Big Bad Grammar Slammer game once a week to review all those grammar concepts. 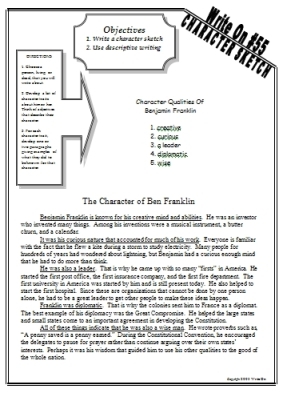 After completing The Big Bad Grammar Slammer, fifth grade students will be exposed to Essential English Grammar. This classic text lists all the grammar and composition rules needed for students through high school and college. That's right, we don't have thick workbooks year after year. In fifth grade the students will make a precursor journey through half the book, reinforcing the parts of sentences and parts of speech learned in The Big Bad Grammar Slammer. In addition, all punctuation rules can be found in the Kaleidos 5 Appendix. Everything a student needs to know is at their fingertips. In Kaleidos 5, the students work on mastering word processing and keyboarding skills. On-line lessons are listed three times a week.